Last week we celebrated the arrival of my book. It was a colorful, fun and inspiring day. Today is a day of celebration since two years hard and exiting work finally has resulted in a publication. And you can sign up for a course about building a brand character concept for your brand. If you are about to create a brand character for your brand, you might be wondering what kind of creature suits you best. 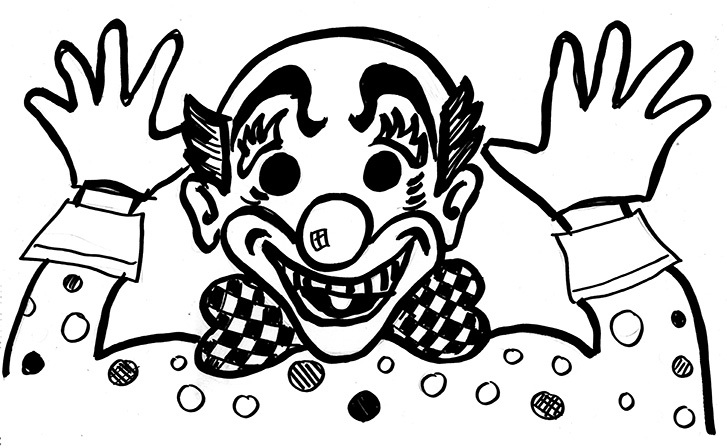 Exemplified by the clown this article focuses on important things to consider in the process. Is your brand as strong as an elephant, could it be illustrated by a energetic boy, is it free like a bird? The process of designing of brand character concept is full of choices. 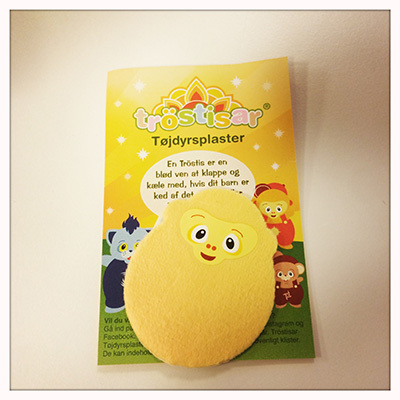 You might have the idea of choosing a clown as your brand character since your product is targeted kids. A great idea since clowns are funny and invented to entertain kids. However, the clown is a difficult choice, especially in the wake of the recent global problems with scary clown pranks. However, being scared of clowns was also a problem long before the pranks got popular. The clown is also controversial in relation to marketing where for example McDonalds has had their challenges with Ronald McDonald because of the ambiguous connotations he evokes. First – you need to choose your character wisely and you have to adjust your marketing strategy if you realize for example that clowns are problematic – like McDonalds have done with Ronald: He has been given a break until the scary clown hysteria passes. In other words when times, trends, politics change the brand character needs to change too. When things change, consider if the character needs to change behavior, looks or even retire. Second focus is looking more closely at why we fear clowns. Because this leads us to another point – the importance of the face. If the image of a clown – that is supposed to look happy, smiling and inviting – can scare us as much as is does, what does that say about the face. The face is one of the most important tool for us humans to communicate with – we create facial expressions and make sound to be understood. Vice versa, we interpret expressions and sounds that are communicated to us through the face. We also have to rely on our ability to recognize people and to tell friend from foe mainly through the face. The mask makes the clown unpredictable. The main part of our communication happens via the face, but a face that is covered by a mask or heavy makeup cannot be read. When we cannot be certain of a person’s state of mind or intensions, it makes us uncomfortable. Article (in Danish) about scary clowns. This is the first version of the cover page. Example of a homemade illustration for the book. A member of the target group – the hipster designer type. I have hand-drawn a large part of the illustrations myself. A surprisingly big challenge in the preparations for this book has been asking for permissions to use real brands characters in the book. Many big brands have said no, but fortunately some said yes. Democrat and republican candidates are currently competing for the precidency in the US – and we hear a lot about Donald, Hillary and Bernie etc. 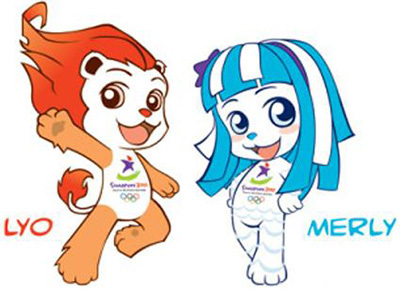 But it is also a fight between two mascots: A donkey and an elephant! Even political parties have brand characters. 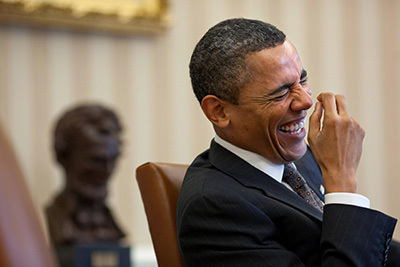 The democrats have a donkey – the republican an elephant. And this relates perfectly to the reasons why many brands use characters in the first place. In my study, I am generally using the term brand character about the figures and creatures, because I think it is more telling and broader than the word mascot. 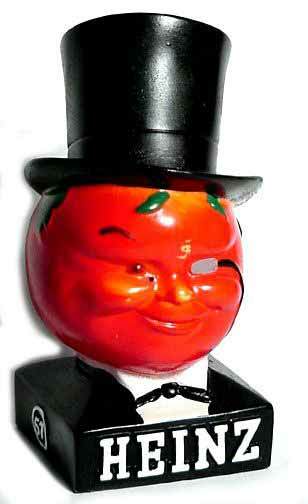 But often the terms brand character and mascot are used as synonyms. Mascot however has an additional connotation and meaning – because the word mascot originally is to be understood as an item of magical power. A mascot is a person, an animal or an object that brings good luck. A mascot can be compared to the use of an icon, a charm, a religious relic or a talisman and is in your possession, worn or carried to protect you. In that context it makes perfect sense that often even the smallest local sports team or club has a mascot helping and cheering them to victory. In this case the symbolic totem qualities of donkeys and elephants are hopefully transferred to the fighting politicians. 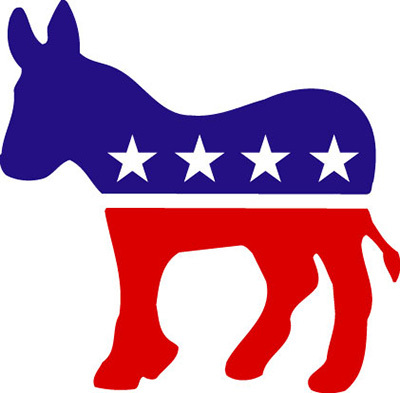 Democrats have used the donkey since 1828 because of its strong-willed and stubborn nature. It is smart and brave. The elephant is republican and is supposed to symbolize the strong and dignified. What happens when people look each other in the eyes? Do you get a glimpse of the other person’s soul? Do you feel closer attached? Do you build trust? If you think of the opposite situation, the feeling that something is ‘wrong’ can grow if people avoid eye contact: Maybe they are shy, maybe not willing to tell the truth, are indifferent about you and the situation or not mentally present. On an interpersonal level, a lot of information can come from the gaze: Obtaining eye contact is often perceived as an invitation and as a sign of self-confidence. But what about the effect of eye contact in the world of brand characters? Is eye contact as important when it comes to brand characters as is between real life people? A study of brand characters on cereal boxes done by Cornell University Food and Brand Lab shows that cereal producers clearly think that eye contact matters. On cereal boxes marketed for kids the gaze of the characters on boxes in 57 out of 86 cases are directed in an angle matching the young audience when passing by the shelves in the supermarket. On products directed towards adults the angle of the eyes are directed at a higher level. As a result of that observation the researchers turned to the consumers and tested what cereal brand they trusted and felt the closest connection to. Trust and connection rose up to 28% when the character looked them straight in the eyes. A recommendation for brand character designers who want to build trust and brand loyalty is to direct the gaze of the character at your target group since we seem to find reassurance and honesty in eye contact. On the occasion of The Oxford Dictionaries revealing the Word of the Year not to be a word, but a picture – the emoji Face with Tears of Joy – I think it is time to consider the good old question: is a picture worth a thousand words? However the answer is complex. Some claim that the sense of sight is more important to us human beings than any other sense. Others says that it is an oversimplification and that the way our senses influence each other is yet to be discovered. And mayby it depends on the type of person you are. What I think is interesting about the election of the ‘Word’ of the Year in relation my project is the increased focus on pictures, visual language and faces. Faces are trending. What is it about these faces? 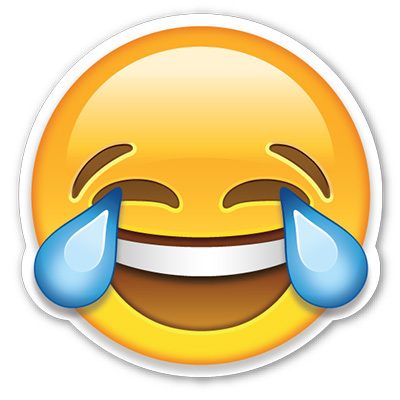 It is true, that it is faster to send an emoji than writing: I laugh so much it makes me cry , LOL or LMAO. Seing that little laughing face has another kind of impact on us, than just the written words. It appeals to us in a fundamental way because we are evolutionary programmed to react to the face. Did you know that a new born baby less than an hour old can trace a picture of a face longer than anything else? Did you know that face-blindness i.e. the inability to remember and recognize faces is a serious handicap and that it is called Prosopagnosia. Did you know that a happy face can comfort us, and that we are attracted to smiles and positive attitudes? A joyous smile (a truly happy smile) also called a Duchenne smile is when the muscles around the eyes are activated. That is precisely what the Face with Tears of Joy is doing which is different from most other smiling emoji. 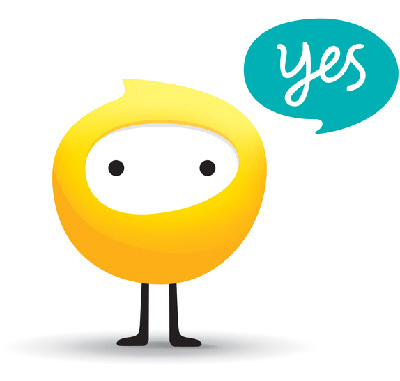 And of course we are communicating and selling by means of happy smiling faces when using characters in branding. Here the recent example of a smiling Band-Aid that will comfort you if you are in pain, afraid or feeling lonely. BBC has spotted a new trend: creating food faces. 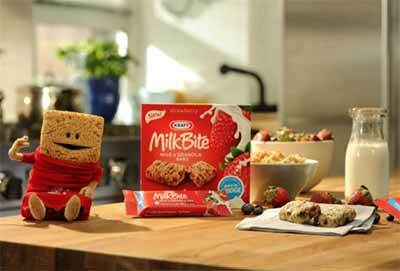 But the trend is not just about creating food-faces for your own amusement or to persuade kids to eat their dinner. 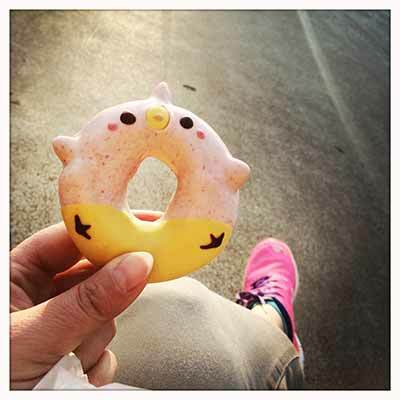 People are theming their Instagram accounts to share photos of food-faces. And where does this trend boom? – in Asia of course and Japan in particular. 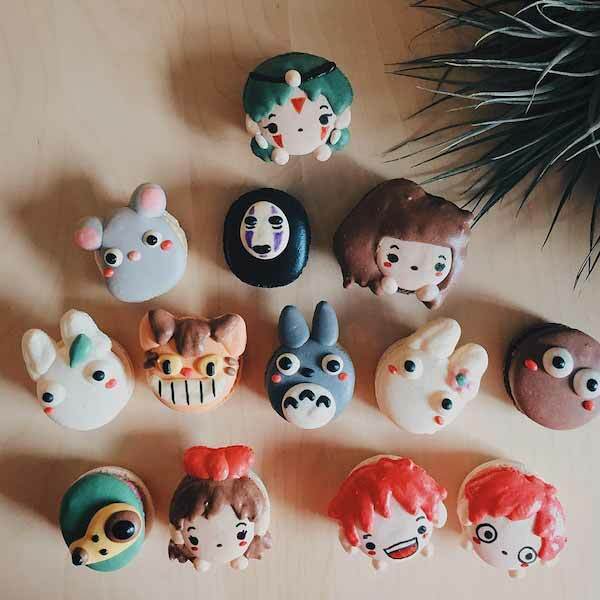 It’s so kawaii! 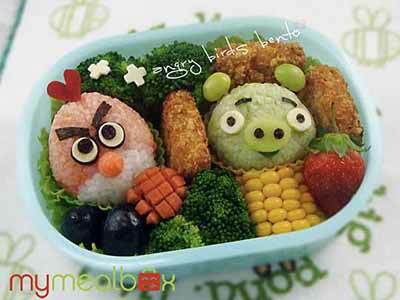 A Google search on Character Bento gives you a surprisingly creative and colorful result. A bento box is a Japanese lunch box usually containing a homecooked meal of rice, meat, fish and vegetables. Often carefully arranged to look appetizing. The food face trend is taking this tradition to a new level. Me eating cake in Tokyo. But it’s not a new thing to combine food and faces – and publishing the result. 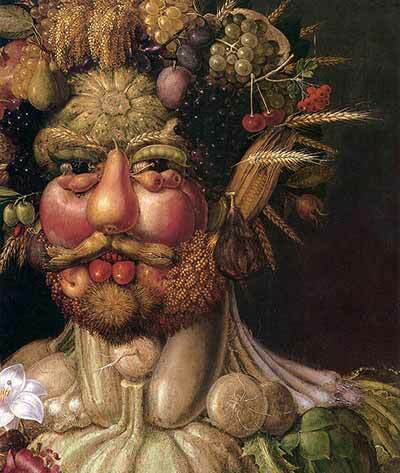 In the renaissance the Italian artist Guiseppe Arcimboldo specialised in the same concept when he excelled in painting faces made out of fruit, vegetables etc. 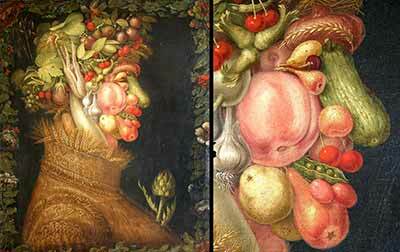 When we are seeing faces in the food like that, artists and foodies are relying on a phenomenon called pareidolia. Wikipedia defines pareidolia as: a psychological phenomenon involving a stimulus (an image or a sound) wherein the mind perceives a familiar pattern of something where none actually exists. This is not a gif-animation of a face talking – it is a gif-animation of two fried eggs! And so this trend is yet another example of how obsessed we are with faces and how powerful the face is as an archetypical image. We simply can’t help seeing the familiar pattern of the face. It is almost compulsive.